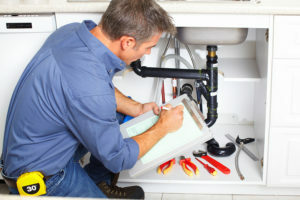 When it comes to handyman services offered by BACK Construction, we truly do it all. With us, no job is too big or small in the Lexington, Kentucky, area. So, you can treat us as your own personal handyman whether you have a long list of tasks that need to be completed, or simply have one pesky household problem you’ve been dealing with for weeks. And, don’t just take our word for it when we say that we offer some of the best handyman services around – you can listen to the praise we receive from our numerous satisfied clients and see the distinctions we’ve earned as a long-standing remodeling company. These include four consecutive Best of Houzz service awards and being named among the most prominent home improvement companies in the nation by Qualified Remodeler. And, we’ll go about checking these handyman jobs off your to-do list with minimal disruption to your daily life. Our friendly and considerate technicians that comprise our handyman team will make quick work of tending to what needs to be completed around your house. Since 1981, BACK Construction has put our clients first. Contact us today to receive the spectacular treatment that countless local homeowners rave about. We offer handyman services and much more to residents throughout Lexington, KY, and nearby areas. We also invite you to ask about our financing options with approved credit.